Boil water, add the pasta, and cook according to package instructions. Drain water, and let the pasta chill. Meanwhile, season each of the chicken breasts with 1 Tbsp. olive oil, salt, and pepper. Grill for six to eight minutes on each side. Cut the chicken into bite-size pieces. 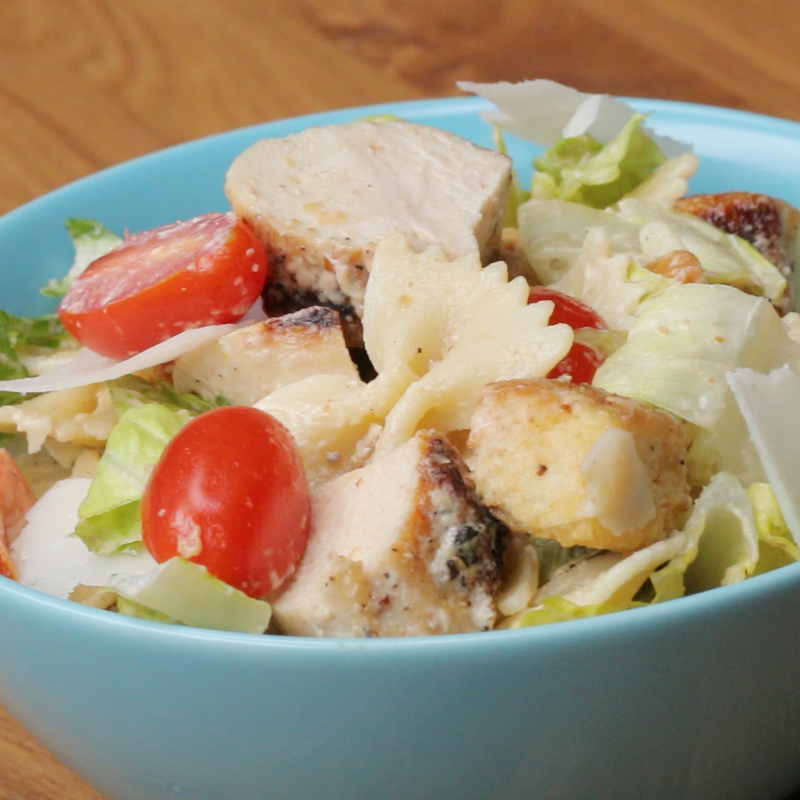 In a large bowl combine pasta, romaine lettuce, tomatoes, chicken, croutons, parmesan, and Caesar dressing. Toss gently. I don’t like tomatoes in my pastas or salads but I actually hard-boiled some eggs and added that into the pasta. So good!!! 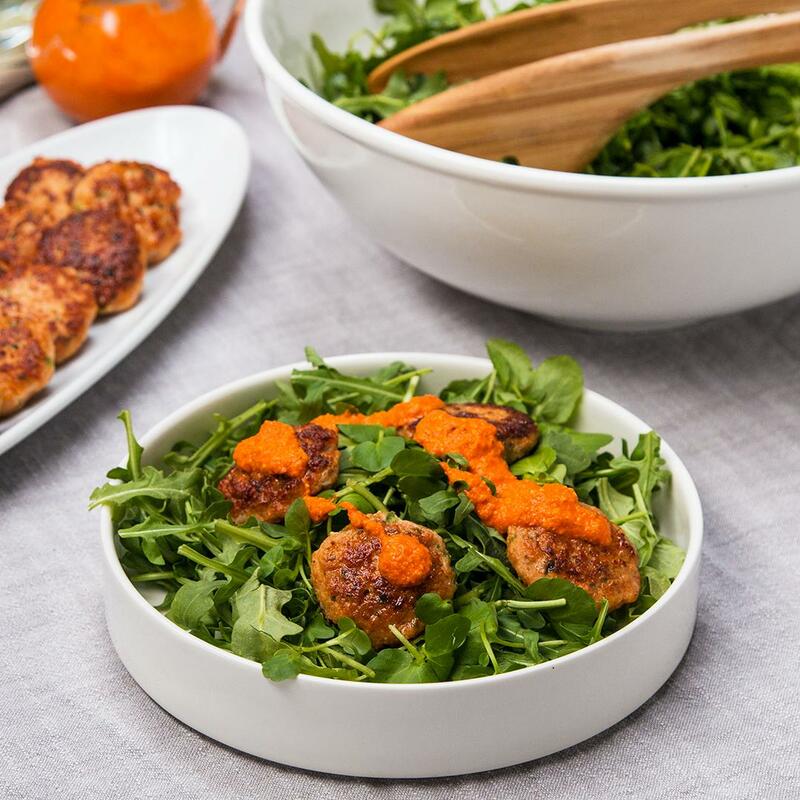 If you’re making this ahead of when you’ll be eating it (the night before for lunch the next day) leave out the croutons (the dressing will make them soggy) and put them on when you’re eating and pack more dressing because it soaks into the pasta and chicken. Twisted the recipe a little.